? ?Looking for enthusiastic individuals ? ? ?? ? ?Want to save for that special something? ?? ??
? ?Want to save for that extra holiday? ? ? ?? ?? Pay off those bills earlier ?? ?? WHY NOT GIVE IT A TRY, NO OBLIGATION, FREE TO TRY.
? ?Hours to suit, flexible round work and kids. Up to £300 of free products available. There are no jobs with Avon at the moment. Sign up to email alerts below to get notified when new jobs are added. 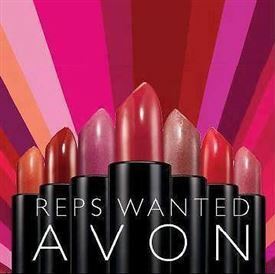 Get the latest jobs from Avon sent direct to your inbox!